According to the Bureau of Labor Statistics, more than 4,400 workers nationwide lose their lives in the course of doing their jobs every year. Worse, Texas currently leads the entire nation in the number of workplace injuries and fatalities, even though nearly all of those fatalities could have been prevented. Some jobs, such as those requiring difficult or repetitive movements, can lead to a workplace injury, but too often, workplace injuries occur due to an unsafe work environment, including working conditions that start out bad and get worse over time, often because an employer has decided to place company profits ahead of worker safety. Technically speaking, any employee who suffers a job-related injury is entitled to workers’ compensation insurance or some other employer-paid funding to provide them with necessary medical care and benefits to cover most of their pay during the time they are injured or sick and unable to work. Even though workers’ compensation insurance benefits should help injured workers recover, that system often prohibits a lawsuit against the employer by the injured employee. First of all, you must report the injury to a supervisor or your boss, being as specific as possible about the injury and how it occurred. That has to be done as soon as possible in order to comply with all of the regulations surrounding a workers’ comp claim. See a doctor as soon as possible, so that your medical condition can be properly assessed and evaluated from the beginning. Don’t wait to see a doctor; waiting can have a negative effect on making your case for recovery later. You should also get every bit of information possible about your injury, with as much specificity as you can. Keep track of all of your insurance information, including workers’ compensation, personal health insurance and any other type of insurance that may apply. Document everything, no matter how small. Establishing a paper trail is a very important part of the process. Do not speak to anyone about your injury and do not sign anything without speaking to a workplace injury attorney first, which means means consulting with an attorney as soon as possible after the injury. 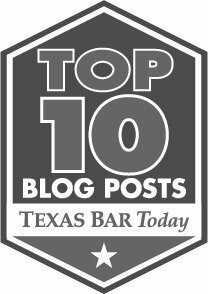 Even though Texas workers are entitled to sufficient workers’ compensation benefits under state law, not all companies have this insurance or have the worker’s best interests in mind. Keep in mind that the workers comp carrier represents your employer and may attempt to cut costs, which can lead to you receiving something less than adequate treatment and compensation for your injuries, or cause you to return to work before you make a full recovery. In addition, while you may not be able to file suit against your employer, there may be alternatives, including claims against other parties, including the facility owner or operator if that entity is not your employer, or the manufacturers of the dangerous and defective products and equipment that led to the accident that caused the injury. Any worker who has been injured on the job is entitled to certain things and should not be required to take chances with their livelihood or their health because of an injury that is not their fault. If you or a loved one have been hurt on the job and you believe you are receiving less compensation than you should from the workers comp insurance company, or you believe your injury was at least partly caused by defective equipment, please contact Blizzard Law PLLC and allow our Workplace Injury Attorneys to evaluate your case and find out if we can get you the compensation you’re entitled to. Next Post Defective Drugs and "Failure to Warn"